Ohhhhh. So that’s what an adult book is like. My husband drove all of the eight hours to our destination and back, leaving me lots of time to read in the car. Hey, I offered to drive, but he wanted to “make good time.” I just wanted to “get there alive,” so you can see where we differ. Also, I believe he took into consideration how much time I spent packing the suitcases, loading the car, and getting things generally in order for the trip, and thought I had put in my fair share of time. That, and I can be pretty bitchy while driving. My point is, lots of reading time with an odd assortment of books. 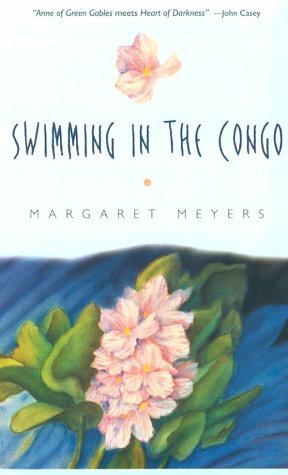 Swimming in the Congo by Margaret Meyers, captured me a few years ago with the review blurb on the cover, “Anne of Green Gables meets Heart of Darkness.” I knew then that I had to read that book. It came up again recently, and I thought I would reread it. And the blurb is pretty darn close. I might add, “It’s Poisonwood Bible  light,” as my blurb, because it’s so true. The book is set in the Congo at about the same time, with the daughter of a missionary. But while Poisonwood Bible focused on the lives of the family and the devastation the Congo caused them, this book focuses on people outside the family and how they love their lives in Africa. The girl is more a device to peek into the lives of the other missionaries  often literally  and to show the world of the Congo and the African boarding school. Each chapter could almost stand on its own, as different experiences and people come into focus. The book leaves room for personal interpretation and reflection, probably more reflection than I was able to give to it. It actually seems like a better book club book than Poisonwood Bible, being more accessible and leaving more to the reader to bring to the reading. 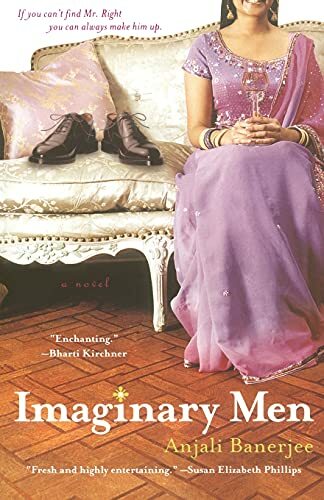 Imaginary Men, by Anjali Banerjee, is a typical chick lit book  very light with a romance at heart. What makes this book stand out is the India component. Lina is attending her sister’s wedding in India when her Auntie Kiki traps her with a possible arranged match. To get out of the conversation, Lina says that she is engaged, not expecting that the lie will make its way around the wedding like wildfire. She can’t seem to extract herself from the fib, so keeps it up hoping later to tell her family that her fiancé dumped her. But, of course, it can’t be that simple, and soon Lina is looking for her own perfect match to make the lie the truth. The storyline would not have grabbed me, except for the interesting and continual references to the culture of India within America. I liked the incorporation of another culture and country into the standard chick lit format. At the end is a short interview with the author, which offered additional insight. I’ll be back later with more from my adult reading. Actually, now that I wrote it like that, it sounds kind of dirty. Oh, how I wish I could read in the car! I'm cursed with terrible motion sickness, and it's so frustrating, because Mheir usually wants to, or is at least willing to, drive on long car trips. It seems like such a waste not to be able to read. We listen to audiobooks sometimes, though. Anyway, congratulations on finding some time for "adult reading" (so to speak).